Trent Park staff are determined to go beyond” business as usual” to create a vibrant learning community for students and families. Trent Park is partnering with TrueSchool to engage in an innovative process that supports educators in closing achievement gaps in literacy for English Language Learners and African American students. 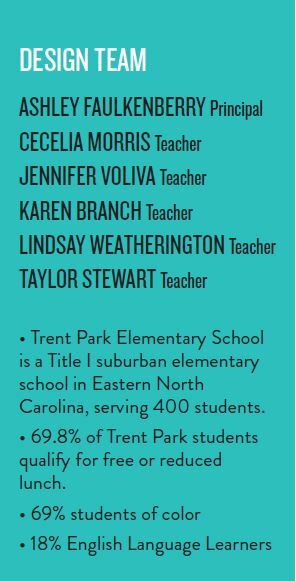 The Trent Park team wants to challenge traditional approaches to learning and permit greater autonomy to teacher leaders to set the stage for all students to succeed. Powerfully, the Trent Park Team is involving the entire school staff in the innovation process at collaborative professional development sessions, analyzing stakeholder perspective and generating new ideas, using practices from TrueSchool’s Toolkits. With this approach, the Trent Park Team learned that parents hoped for a deeper home-school connection, and for guidance on how to support their children in academic work at home. Over the spring semester, Trent Park will be prototyping a Parent Academy in four 3rd grade classrooms, focused on increasing parent engagement with the school and sharing educational strategies for parents to bring home. Additionally, parents will be invited to visit the school to shadow, learning math side-by-side with their students. The learnings from this prototype will guide the Trent Park team in expanding and strengthening their parent outreach further. The Trent Park Team is also planning to expand its design team as the TrueSchool Program continues. They are seeking to increase the diversity of the team in order to be more reflective of the community they serve. As Principal Faulkenberry reflects: “If we’re preaching equity, then how are we living equity? From the outside looking in it doesn’t look like that. So we have been looking at our team and really making sure that we have the right people with the right skillset on our team to represent really truly who our community is and what our school demographics look like.” The Trent Park Design Team is considering broadening their team to include community members and parents. 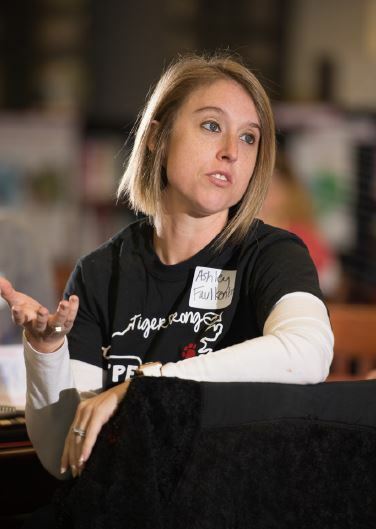 Recently, Faulkenberry has added a Classroom Teaching Assistant who has been supporting refugee students to the Trent Park School Design Team.